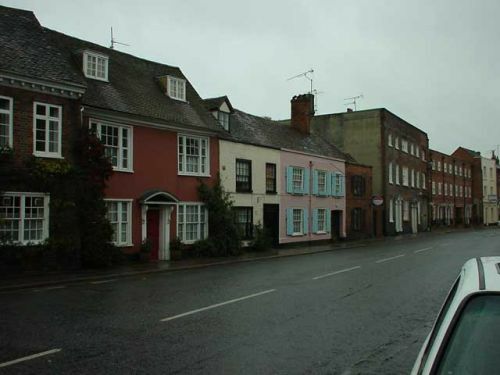 The three houses on the left were a single house built for the local brewery executives about 1554. We lived in the middle (red) house 1968-71. There us a connecting door to the white house in a bedroom covered by a panel.